Stress can have a serious impact on mental health. This is because our brains will become flooded with hormones that are produced due to your stress. This can cause a multitude of problems and reduce your brain’s ability to function properly. This can cause memory issues, make it harder to learn new things, and cause problems with sleeping. These problems will only accumulate until they become even more severe issues such as cancer, Alzheimer’s, or other types of dementia. Stress can cause numerous health problems that can be quite serious for senior citizens. Elderly individuals experiencing stress may experience problems such as headaches, irritability, anxiety, depression, high blood pressure, overeating, heart palpitations, indigestion, and the is only the tip of the iceberg. Stress is also known to cause aging acceleration in aging and make you look older than you really are. Stress can reduce your quality of life. When you are busy thinking about your problems, you are left with little to no time to enjoy life. When you are not enjoying life, this can lead to more stress and can even lead to depression. Abundant Life Assisted Services offers superb Senior Home Care Services in Georgia to help make life a bit easier for you. Our services are personalized to meet your needs on a day-to-day basis, so you have more time and energy to focus on what you love doing instead. That is only a few of the vast array of issues that stress can cause for senior citizens. 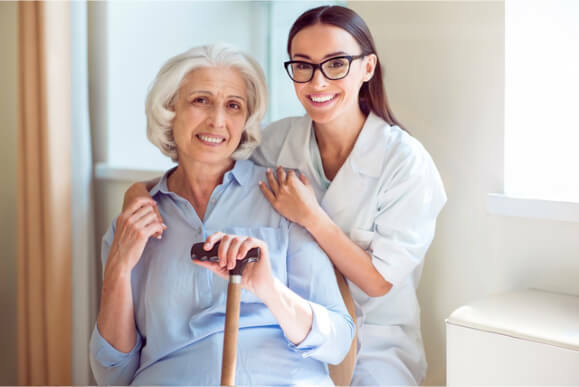 However, it is possible to reduce your stress and through our In-Home Elderly Care services, we can help you every step of the way to ensure you can continue living the life you want on your terms. This entry was posted in Elder Care, Home Care and tagged Healthcare, Senior Care, Stress. Bookmark the permalink.